So I've had my pre-order for a few days and have had a bit of time to play around. I've been having lots of fun with the new colors. I had the watercolor wash backgrounds all side by side before assembling the cards above and I wish I had taken a photo - they looked so pretty! My favorites are Flirty Flamingo, Peekaboo Peach and Dapper Denim! And I love the Peekabook Peach and Flirty Flamingo together - they are so pretty! If you'd like to get your hands on these colors, I've got a fun gift with purchase for you. 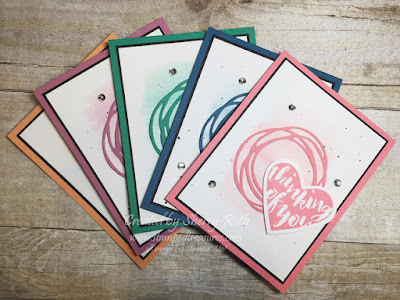 With your minimum $50 order (before shipping & tax) placed online, between May 13th and 31st, using hostess code Z794UMVP will qualify you for all the pre-cut supplies to create these 5 cards - one in each of the 5 colors! Note that if your order is over $200 - don't use the hostess code. 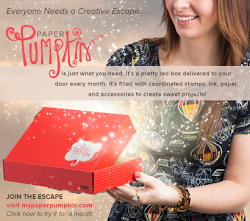 This will allow you to receive the stampin' rewards. Each kit will include all pre-cut, scored and die cut cardstock, and sequins. Kits will ship the week of June 6th. Click here to view the most up-to-date retiring product list. Shop online today to receive your free in color card kit!